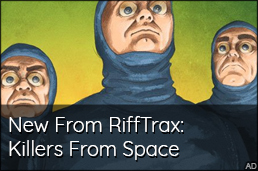 Last week, I showcased a selection of animated gifs from an old CD that is full of them. By full, I mean there are two hundred and forty-six gifs on it, and most of them are under 30KB. So, the disc barely has any of the space filled. Anyway, instead of going through and posting all of the gifs by category like I had planned, I've decided to just share my favorites from this collection. So you won't be getting all of the cutting edge gifs from 1995, you'll just be getting the best of the best. Or worst, if you are a sane person. Clearly, I am not. What sane person imagines this thing going "NOMNOMNOM"? Before I get to the rest of the gifs, I wanted to share the system requirements for this CD. I think my favorite thing about those specs is the fact that it lists the mouse. And the fact that you can use OS/2. I had forgotten about OS/2 until I saw it listed on this disc. I never used OS/2, and the only exposure I ever had to it at all was through ads for OS/2 Warped. Capcom's Remember Me, the new game about a woman who was a memory agent, has a release date. The game comes out for the Xbox 360, PlayStation 3, and PC on June 4, which also happens to be my birthday. So, when you go out to pick the game up, you could always buy something for your good friend Jeremy as well. Oh, and there's a new trailer or something. I guess you could check that out too, I guess. 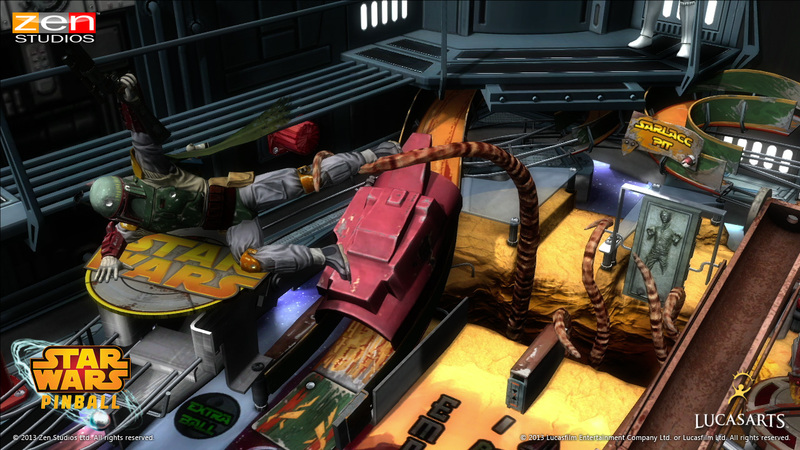 Star Wars Pinball from Zen Studios is making its way to digital stores (almost) everywhere this week. The more I see of this game, the more I can't wait for it! Unfortunately, it seems as though I will have to wait a bit longer, because I can only play it on Windows 8, Wii U, or the 3DS, and those are three places these tables are not being released this week (we don't even know they will ever be released on the latter two). Until then, make sure you don't wait to try these tables out, because they are from the people who make the best digital pinball around! It's the first look at the new Spider-Man costume from next year's Amazing Spider-Man 2. My first two reactions are that 1) I love the eyes, and 2) the rest of it, at least in this shot, looks like the suit from the original trilogy. I do like this suit so far. 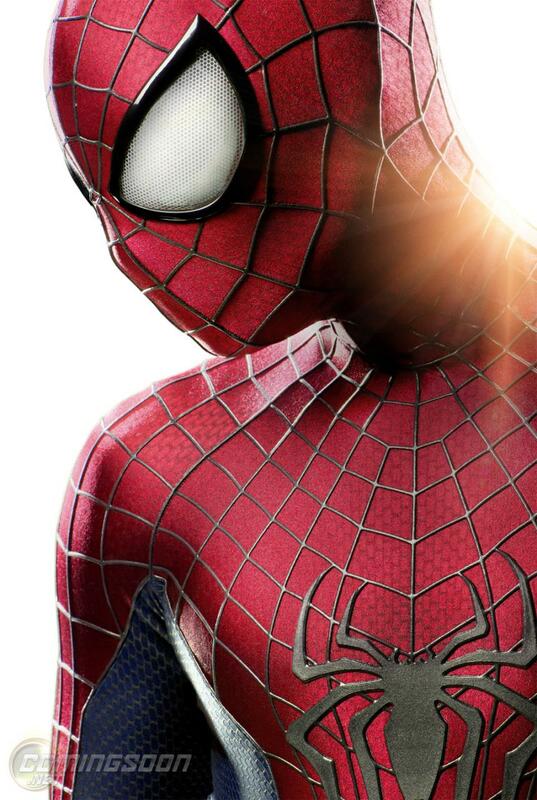 I hope it's a nice blending of the classic Spidey suit and the suit from the first Amazing Spider-Man. I really enjoyed what they did with Amazing Spider-Man, and I really hope they can keep that momentum with next summer's sequel. I guess only time will tell. Last October, I managed to find an amazing site full of animated gifs. 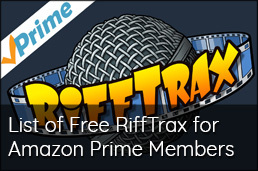 As a person who loves the nostalgia of old GeoCities and Angelfire websites, I was in poorly animated heaven.I didn't think it could get any better. Take a minute to soak it in. I don't know what my favorite bit is either. I really like the Windows 3.1 compatibility, but what puts it over the top is being able to use it on OS/2 (it's a hip-hop operating system). 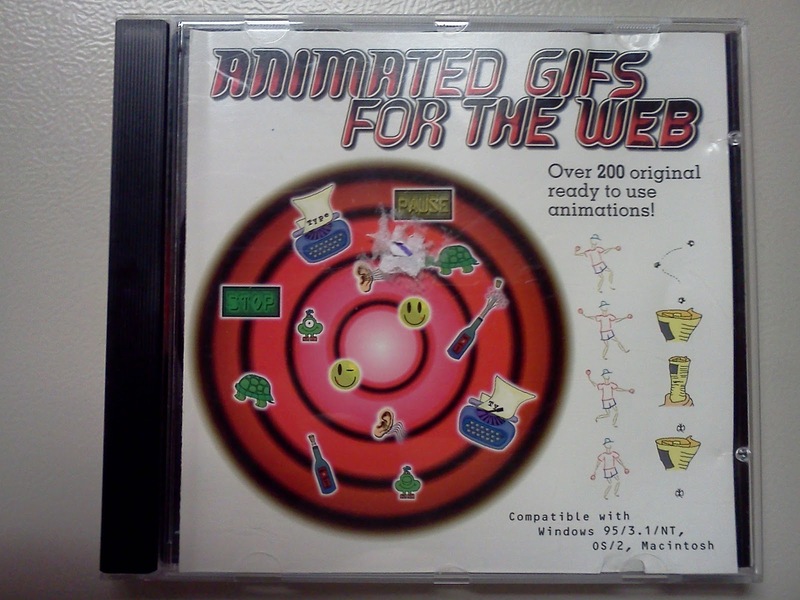 This magical little CD contains 246 gifs, and all of them are horribleoutstanding. 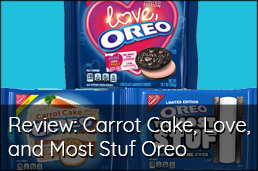 There are a number of categories, ranging from Animals, to Dividers, to Home, and Leisure. Look at the quality of that! 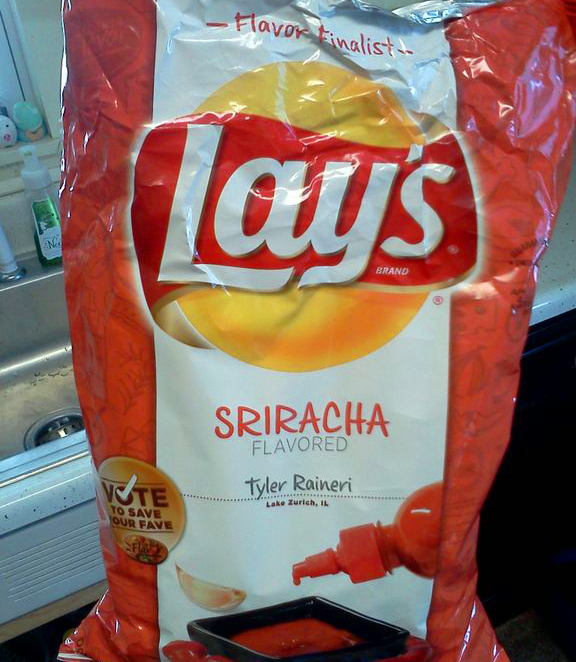 I can not, in good conscience, hoard these all to myself. 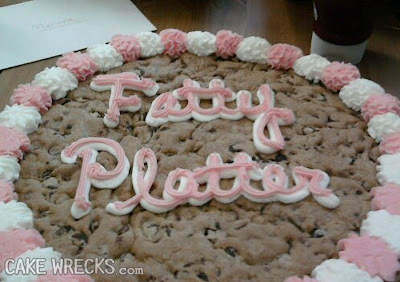 It's time for a pic dump. And yes, I'm kidding about the "56k warning". It was just a throwback to the days of yore, much like these gifs. Up first, the Holiday category! 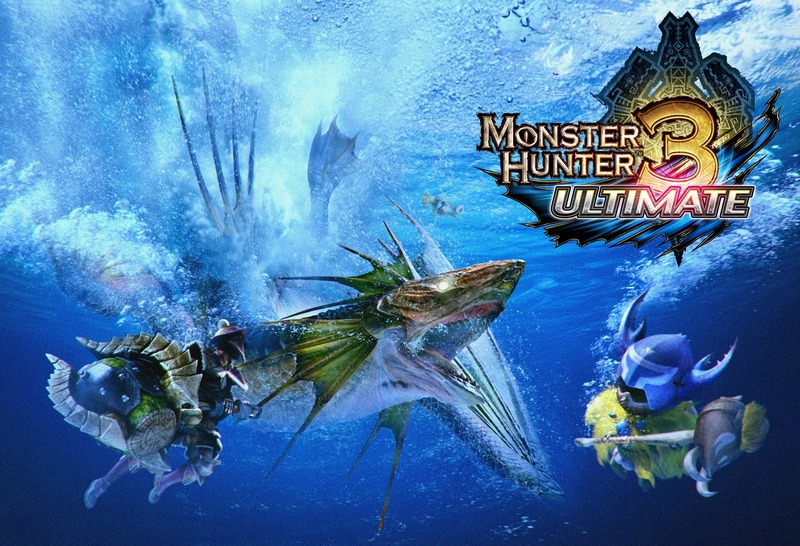 The demo for the much anticipated Monster Hunter 3 Ultimate is now here! As of right now, you can check out some sweet single player monster killing action on the Nintendo Wii U and 3DS. I'm glad this came out today, because the wait for this game is harrowing. At least we can all get a taste of the action before the game's March 19 release! You can read the release after the jump. Earlier this morning, Nintendo had another Nintendo Direct presentation. This one focused on Japan and 3DS titles from third party publishers. 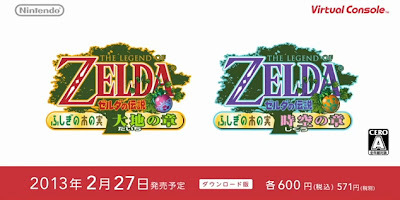 During the video, Nintendo announced that The Legend of Zelda: Oracle of Ages and Oracle of Seasons will be coming to the 3DS Virtual Console next week. And next month, the games will be sold in a bundle for four dollars cheaper. I'm really hoping these both come to the US soon, and also that I have the patience to wait to see if we get the same bundle deal. As you have undoubtedly heard by now, the Internet is angry again, this time with Ubisoft. Rayman Legends, the game that was supposed to be a Wii U exclusive and out very shortly, has been announced for the PlayStation 3 and Xbox 360, and the Wii U version was delayed until September because of this. Turns out that even the developers of the game were upset about this. And who could blame them? A lot of people have voiced their displeasure over this by cancelling their pre-orders of the game. In an attempt to try and make up for the unreasonable delay, they are releasing the full Online Challenge mode for free for the Wii U (it's supposed to be exclusive, but we all know how well they are at keeping things exclusive). This will have daily and weekly challenges, and will be available (for free) through the eShop in April. So scorned Wii U owners, does this make up for being betrayed? 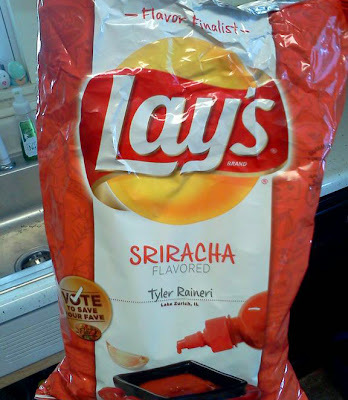 Sriracha, one of the greatest things on the planet, has now been turned into a potato chip. And, I love them! That is all I wanted to say. Carry on. 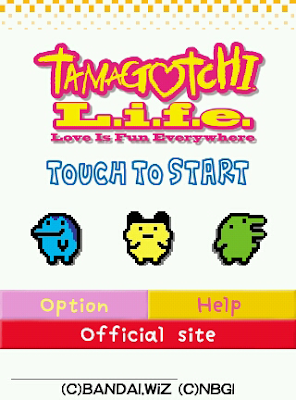 After having two straight days of pain, puking, and passing out on the living room floor (stupid kidney stone), the release on the new Tamagotchi L.I.F.E. app on Android has made my day. 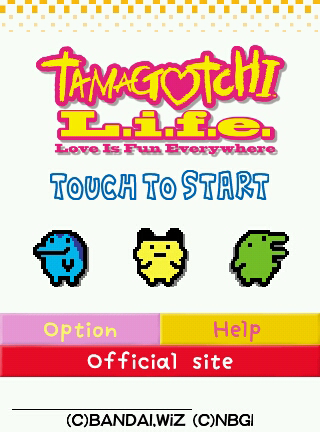 The app is a celebration of Tamagotchi turning sixteen years old. This nostalgia overload is also completely free! I tried some of the Tamagotchi clones on the marketplace, but none of them felt right. My egg shaped hole has now been filled. With today's Nintendo Direct, 2013 became the Year of Luigi! We got a great look at Luigi's Mansion, as well as our first looks at Mario & Luigi RPG: Dream Team, a new Mario Golf, and New Super Luigi U (DLC for NSMB U that changes the entire game!). But wait, there's more! Seriously, there was an overload of information. We finally got a release date for Animal Crossing New Leaf: June 9. We got information about Lego City Undercover, Need for Speed Most Wanted, Mario & Donkey Kong: Minis on the Move, Zen Pinball 2, Runner 2, Monster Hunter 3 Ultimate, and Donkey Kong Country Returns 3D. We also got information on a sale on downloadable titles on the 3DS eShop, a new Zombi U Wii U bundle, and a free game promotion when you buy a 3DS XL and Luigi's Mansion or Pokemon Mystery Dungeon. And there is still more beyond that. I honestly don't remember everything that was shown off, but that's mostly because my brain is still pumped about Animal Crossing and the Mario Golf announcement. Just watch it. I don't know how they keep making these things so good. For the last few days, I kind of disappeared. Sorry about that. We got a new puppy, I got my new PC, and I've been passing a kidney stone. That's not the focus of this post, however. One of my other projects last week was to record a new intro for Voice of Warriors Talk Radio. Voice of Warriors is a volunteer organisation that helps out soldiers who have returned from combat and their families adjust to their "new normal". They broadcast a new show every Tuesday night at 7 PM EST. If you know anyone who could use some help or encouragement, you should get them tuned into these shows. And I'm not just saying that because you will get to hear my sultry voice. I swear. And BOOM! 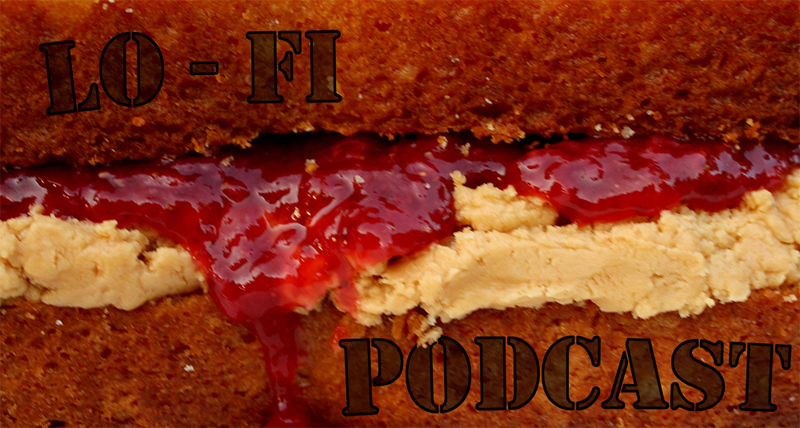 Out of nowhere, it's the Peanut Butter & Awesome Lo-Fi Podcast! Join me as I ramble on about the Super Bowl (seriously, every time I type that, I want to spell it "bowel"), the current idiocy running rampant on Nintendo Miiverse, and as I review BIT.TRIP SAGA for the Nintendo 3DS. Activision announced the newest game in the Skylanders franchise: Skylanders SWAP Force. 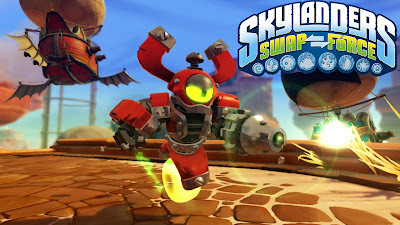 The game introduces two new features. The first allows you to swap heads and bodies on the figures to make whatever configuration you want. 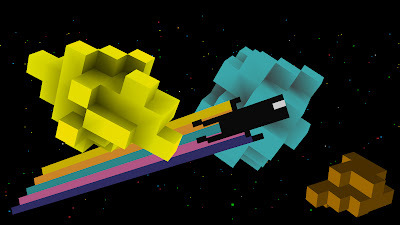 The other news it bigger to me though: You will now be able to jump in the console versions of the games! That was one of the reasons I enjoyed the 3DS versions of the previous games more than the console versions. The 3DS games felt more like the old school Spyro games. They had a nice platforming element that the console versions. 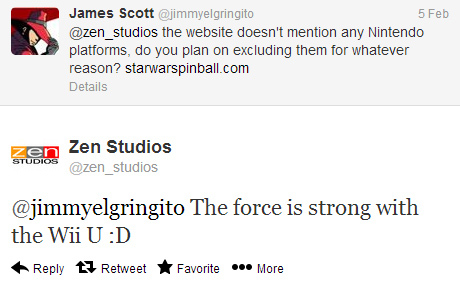 And on the plus side, they are only adding sixteen characters and not another forty five. So, there's that. Read the press release after the jump. If you hate winter, tomorrow can be a pivotal day for you. Tomorrow is that day where everyone heads to Pennsylvania to watch a rodent come out of a hole. Legend has it that if it's slightly overcast tomorrow morning, Spring will come early. If not, it's six more weeks of Winter! 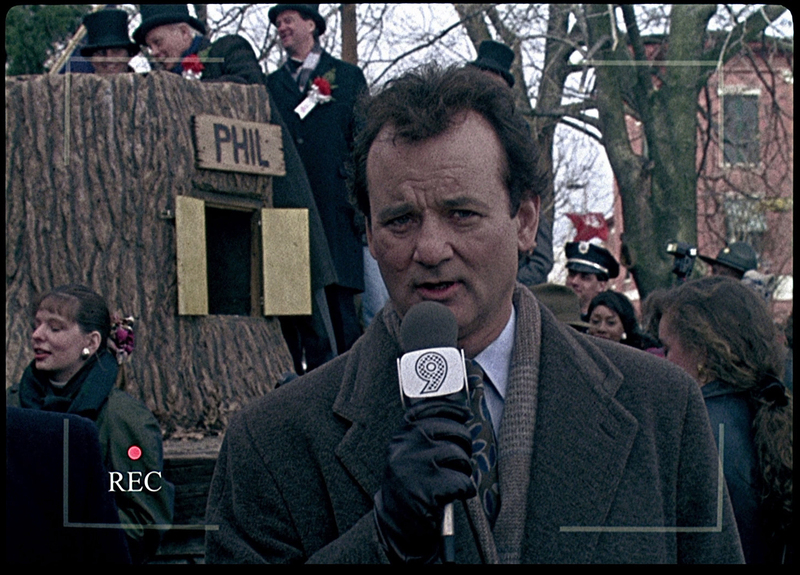 No one really cares about that though, because there is something much better about Groundhog Day: Bill Murray. 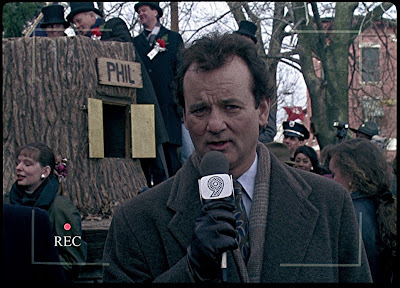 One of the greatest comedic actors of all time (Garfield movies notwithstanding) has the greatest Groundhog Day movie of all time: Groundhog Day! And while it is a great movie to watch any time of the year, it doesn't get much better than watching it tomorrow. That way, if you happen to get stuck in the same time vortex as Mr. Murray (I dare not disrespect him by calling him by his first name only), you at least have a great movie running in the background. Also, there are many thoughts on how long he was stuck in the loop, but there is a great, and very in-depth, article that figures it to be somewhere around thirty-three years and three hundred and fifty days.